Home #BeyondHeadlines Why The ‘Green Issues’ Are Missing From Indian General Elections Discourse? It’s the civil society that has failed to inform and engage citizens on this crisis. In the last few days, bombarded with queries from journalists about the importance of environmental issues in the 2019 General Elections and whether political parties are giving them due importance in their manifestos. Frankly, struggled to answer their questions simply because there is very little to comment on. The gap between environmental challenges facing the country and promises made by political parties is too great to warrant any serious comment. 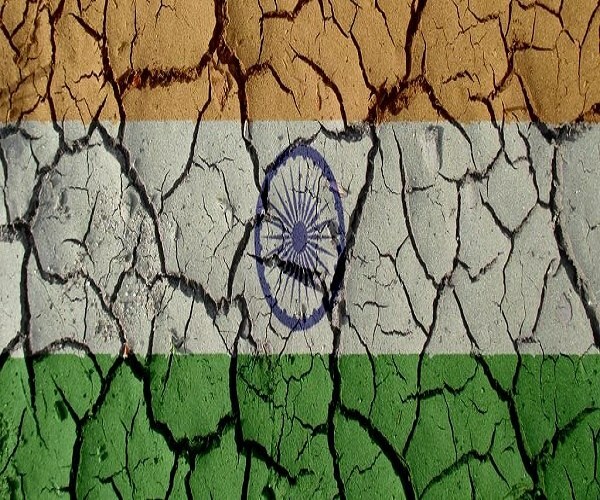 India is today facing an environmental crisis of unprecedented proportions. Never have our air and water been as foul as they are today. Air quality has worsened to such an extent that it now kills people on a large scale. Of all the countries, India has the highest child mortality rate due to toxic air. In 2017, at least one in eight deaths in the country were attributed to air pollution. Similarly, polluted water is still the largest killer of babies in the country. And our water pollution levels are increasing by the day. In 2018, the Central Pollution Control Board (CPCB) identified a total of 351 polluted river stretches — an increase from 302 stretches three years ago. It’s not just the Ganga that’s polluted, all the major and minor rivers are falling prey to pollution because of unsustainable withdrawal of water and untreated disposal of wastes. The crisis is even more acute in case of groundwater. Groundwater accounts for more than 80 per cent of our drinking water supply and we have a groundwater pollution crisis of unprecedented scale. Of 640 districts in the country, the groundwater in 276 is polluted due to fluoride, in 387 it’s nitrate, in 113 districts heavy metals are the polluters, and in 61 districts it’s uranium. Our forests, wildlife and biodiversity have regressed. Over the last three decades, we have increasingly replaced natural forests with plantations. Man-animal conflicts have increased and desertification is now affecting our productive agricultural land. Also, we now have climate change that is threatening people’s lives and livelihoods. Extreme weather events like extreme rainfall, cyclones, floods and drought now regularly devastate one part or another of the country. In 2013, it was the Uttarakhand floods, in 2014 the Jammu and Kashmir floods, in 2015 the Chennai floods and in 2018 the Kerala floods. These extreme events killed hundreds of people and the economic losses were in thousands of crores of rupees. The effects of climate change are going to get even worse as global warming pushes from the current 1°C towards 1.5°C in the near future. In such a dire situation, one would have expected political parties to have come forth with serious ideas to balance the imperatives of the growth and development with environmental protection and climate change. But alas, the two big political parties — the Congress and Bharatiya Janata Party — have repackaged old ideas and relegated the environment in their manifestos as a peripheral subject rather than a core issue that is impinging on the lives and livelihoods of people. ALSO READ: Why 'Election Commission' Is On 'Questions Radar' In Andhra Pradesh? Take the case of air pollution. Both parties have promised to reduce air pollution by strengthening the National Clean Air Programme (NCAP). While the Congress has called air pollution a ‘national public health emergency’ and promised to target all major sources of emission, the BJP has promised to convert the NCAP into a Mission and reduce the level of pollution by at least 35 per cent over the next five years. But both of them have failed to link air pollution with the growth paradigm that they have promised few pages before in their respective manifestos. They want business-as-usual growth and yet hope to solve the air pollution problem. To address the water crisis, both the parties have promised to create a new Ministry of Water. While the BJP has vowed to achieve the goal of Clean Ganga by 2022, the Congress has promised to double the budget allocation for cleaning rivers, including the Ganga. Both have completely failed to address the issue of groundwater contamination, apart from promising programmes for the groundwater recharge. If new ministries and more money would have worked, then we would have solved all our problems long ago. ALSO READ: Why KCR Worried About The 'Delay In Schedule' Of Telangana Assembly Elections? The one major difference between the two parties is in the area of forest management. While the Congress has laid down a comprehensive framework to involve local communities in forest management, the BJP is completely silent on issues of tribals and forests including the implementation of the Forests Rights Act. The bottom line is that the Congress manifesto is all about the right words and the BJP is all about numbers and targets. And, both are utterly insufficient to tackle the environmental challenge facing the country. The fact is if there is a time to make environment a political issue, it is today. Yet, the discourse on environment or lack of it thereof in this election is truly shocking. Apart from a tweet here and there, environment is not in the utterances of our political bigwigs. Why is this so? Why is environment not an important issue in this Lok Sabha elections? Previous articleHas ‘Health’ Truly Become A ‘Political Priority’ In India?